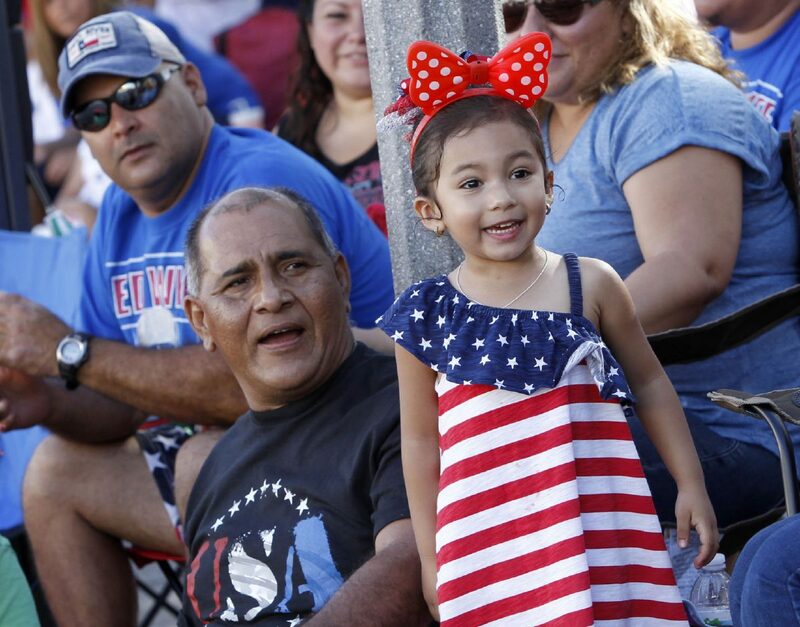 Adelina Garcia, 3, watches the Main Street Parade with her grandfather Mike Perez Tuesday July 4, 2017 at the City of McAllen's Independence Day Celebration in downtown McAllen. Local veterans will be recognized before the start of the city’s annual parade. WHEN 7 to 10 p.m. Wednesday; Fireworks begin at 9 p.m.
Food vendor booths and activities, including a kids patriotic costume contest and kiddie rides. Live music and a fireworks show. WHEN Event begins at 7 p.m.; Fireworks show begins at 11 p.m.